If you need greater anonymity when visiting websites than the one offered by the private mode in the browser, we suggest you to learn how you can easily set up a proxy for Firefox. Besides, setting up a proxy server may be necessary for those who are in another region and cannot view the material intended for a certain category of users. A proxy server is an intermediary between the client’s computer and the Internet world network. It may be needed not only to bypass some security system or to get to websites intended for other regions. It may also be needed in order to significantly increase the network speed, if a proxy server is located on your LAN. The thing is that a proxy server often caches opened pages, and for this caching it has much more space than the client’s computer. As a result, when loading a website, if you are connected to a proxy by LAN, you can get accelerated up to 30 times. This is possible because the operating speed of most local networks is 100 MB per second, and the speed of connection to the Internet rarely exceeds five to ten megabytes per second. Thus, a proxy server downloads the page using a slow Internet connection only once, and all the following queries from clients go through the cache, from where a client downloads those web elements that remained unchanged (style sheets, pictures, sometimes even files or videos) at high speed. First of all to start the browser and then see if there is a menu bar or a button labeled Firefox at the top. In the event that there are neither, we advise you to pay attention to the button with three stripes under the button for closing the window. Click it – you will get to the Settings Menu. In the opened window (or webpage), go to the Advanced section. Open Connection Settings item there. 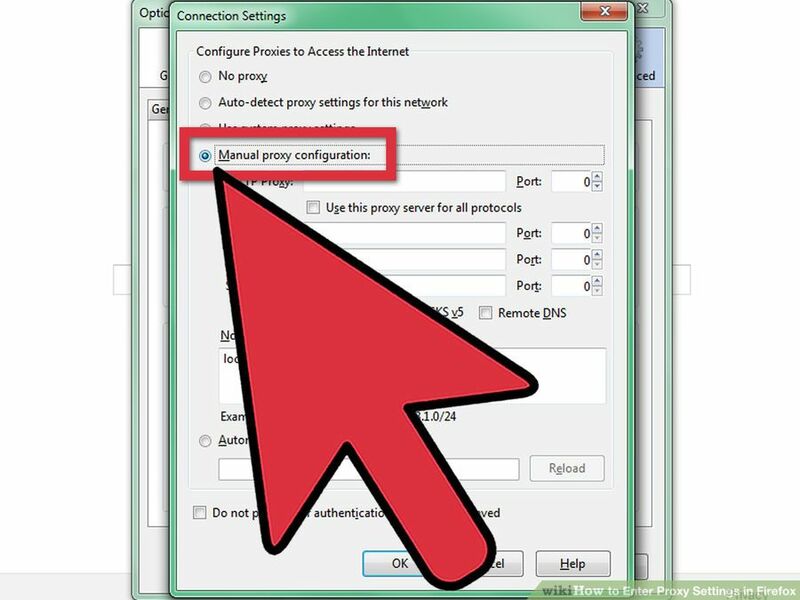 Select Manual Proxy Configuration item and type in the HTTP Proxy field the address where the proxy server is located; Firefox will set the port automatically. You can type the port number in the Port field by yourself, if this number is different from the generally accepted one. If there is no port data, you can leave it blank. Save changes by clicking OK button. Use proxy servers! It’s easy! Proxies for Mozilla are easy to set up; besides, there are quite a few lists of free proxy servers on the network that allow you to connect without any payment. But free proxies are not stable and are often banned in many social networks. For faster and more convenient web surfing, it is better to use paid proxies. Using our proxies, you will get a stable up-time, which means that you will not have any problems with web surfing and using any software. Our proxies are sold per customer and are not banned in social networks. We offer the best, and the choice is yours. Recently, due to various restrictions imposed in the West on the display of a number of websites in Russia, proxy servers have gained immense popularity. Use these simple tools, and you can get rid of this unpleasant problem.